﻿ Nature's Village Resort, Bacolod (Negros Occidental) | FROM $27 - SAVE ON AGODA! "The place is perfect for me ,cause I like nature." Have a question for Nature's Village Resort? "Our family reunion was made memorable, thanks to the assistane of Nature's Village Resort staff especially Mae." "Very nice hotel,they have big rooms and their food is taste good." "Breakfast was sufficient and decent." 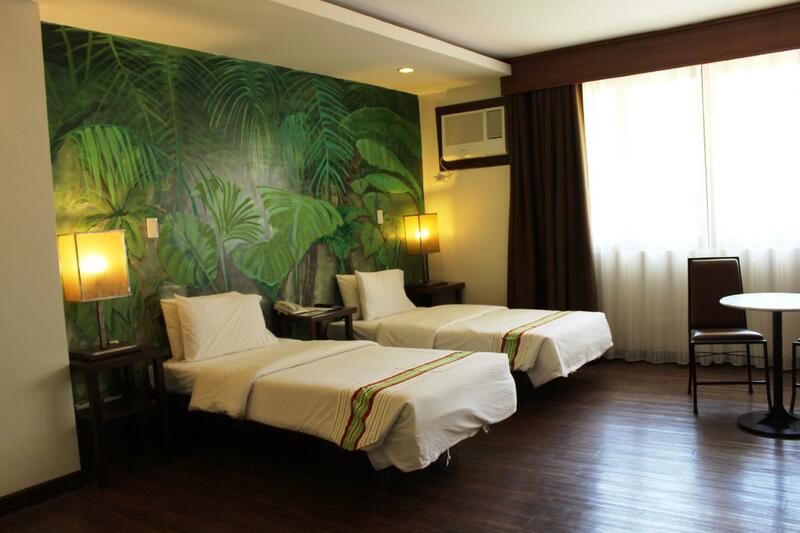 Situated in Talisay, Nature's Village Resort is only 3.5 kilometers from Bacolod. Guests will have easy access to Mt. Marapara. Boasting well-appointed guestrooms and suites, all are tastefully furnished and equipped with standard amenities for the utmost comfort and convenience. Guests can dine at the on-site restaurant where a variety of delicious cuisines are served. Providing an absolute retreat, facilities include the likes of a swimming pool where guests can take a refreshing dip. 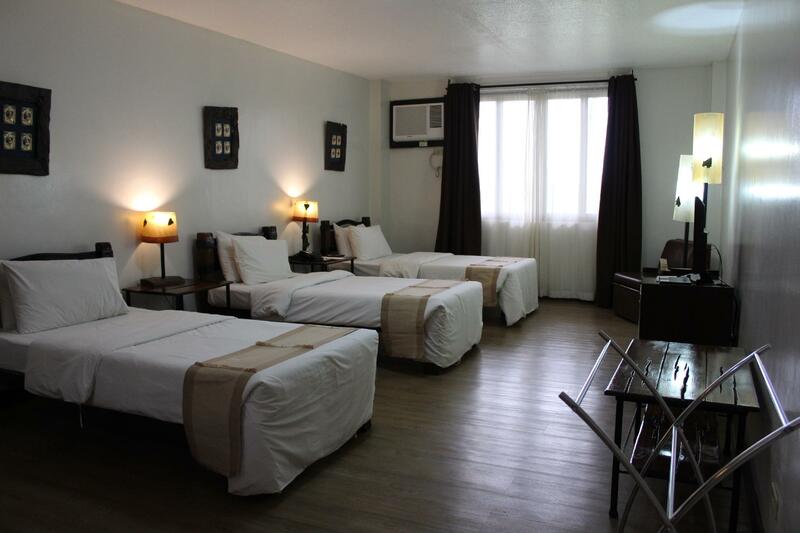 Offering quality facilities and friendly services, Nature's Village Resort is an ideal place to stay in Bacolod. "Hotel location, amenities, and food are great." The resort is in a very nice, calm surrounding. Even though it's apart from the city, it's very easy to find a Grab taxi which brings you to the center. The staff is absolutely kind and helpful. 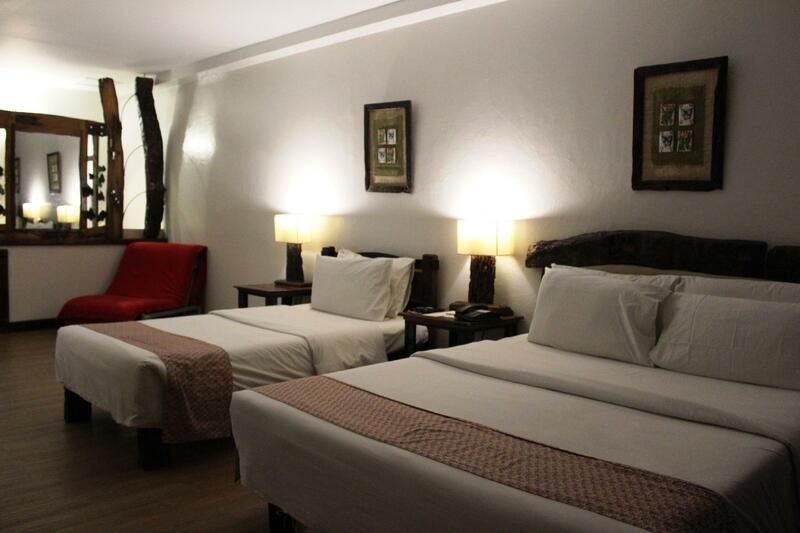 The rooms are big and comfortable and a big plus is the free drinking water on each level of the resort. And there's even a pool. The breakfast is great - they offer warm filipino food but also some western breakfast, a very good coffee and fresh fruits. The part that got me with this hotel is the walk through the garden. There's a little area where weddings could be held. The pool is large. Food is good. Staff is amazingly friendly. I can't ask for more. It was a great quiet place and the location was perfect for us, between the airport and city. The kids enjoyed the children's swimming pool a lot and the staff was very kind and professional. Thank you for the nice stay! Really good hotel, very busy with weddings and party's. Staff excellent although tendency to answer 'yes' to every question while not always fully understanding the question. Nevertheless a great place to be. Thanks. They advertised bathtub, a queen bed or 2 beds. Stated room came with 2 child buffets and 2 adult buffets. They put us in a room less than advertised and 2 guest max. The attendant Gabrielle blamed agoda for tre mix up and claimed Natures site was correct. After confronting him with the screenshot I had taken he smiled and stated well yeah my manager made the corrections on our site already and called Agoda to tell them. What a sneaky scandalous way to treat your guest. Tried to insinuate I booked the room I was placed in and did not want to own the error on their end. It’s not a big deal, but it goes to show you how natures village conducts business. If they will be dishonest on something like this , then I will never trust them again. 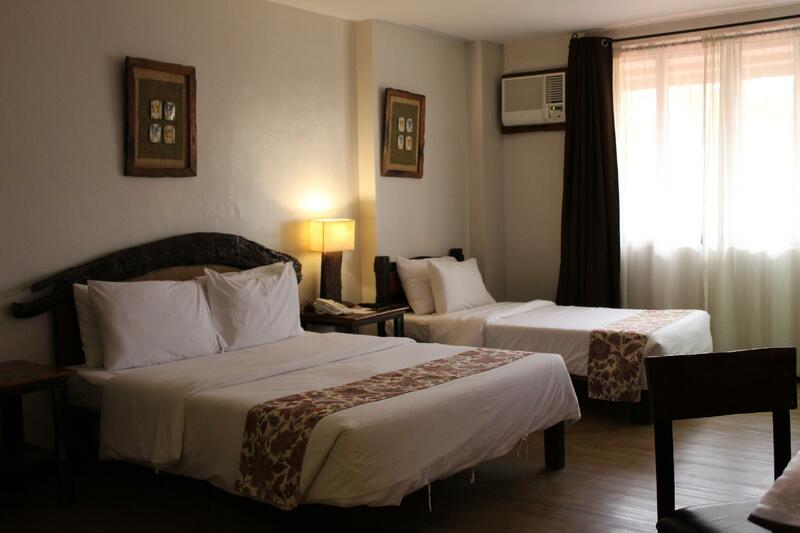 We have a choice on where to stay and we chose to stay there based on the room amenities. We will again have a choice where to stay just like those of you reading this review. For me I will not choose them again! I hope this helps others avoid this. This beautiful resort in a developing area is as the name implies; Surrounded by nature with eucalyptus trees and their own herb and vegetable gardens abutting the property. This ensures absolutely delicious food options despite the breakfast buffet being best described as "chilly." 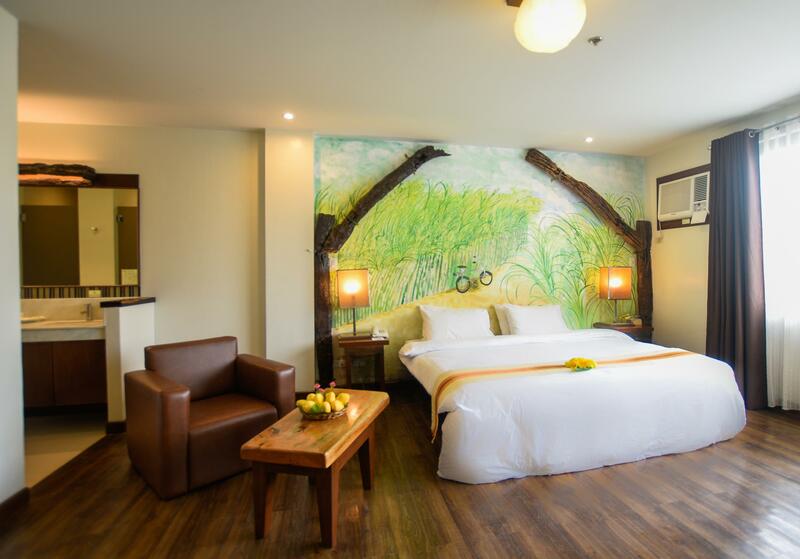 Far from Bacolod City, the resort is more of a destination in itself, as the place showcases art and artisans from all over in their furnishings. It is more of a retreat centre that does a land-office business because of what was prior stated. Unless a traveler has access to (or has) personal transport, touring is largely out. The resort and the area exude a Southern California vibe from the days of yore. As a retreat centre and romantic getaway, Yea! As a centre point for regional touring without a car, Nay! This place, with a cleaner pool, a fitness centre and heating elements for their breakfast buffet could be one of the finest non-beach resorts in the Philippines. As nice an experience as it was, Nature's Valley Resort still has work to do. Hopefully these changes will take place. the room has all the things u need as traveler - hair dryer, toothbrush, toothpaste, and a lot more. it's value for money and it feels very private. staff are friendly and you can bring drinks. you can bring food as long as u eat it inside the room. very cozy and clean. We've been twice to this place well located close of the airport. It's very quiet and clean, silent. Nice garden, the pool is very small but it's enough. Don't expect to stay here more than 2 nights, it's a good start to stay after or before the flight. Far from the town, but you can have a cab or motorcycle for a cheap price. The room is nice and clean and the bed is good. The breakfast can be improved it's very cheap and mostly asian food. I expected more for the price that I paid. When we got to the room, I opened the bathroom faucet and mud came out. Bathroom tiles are old and grout was badly stained. Food selection is limited especially for vegetarians. The only redeeming factor was the warm and accommodating staff. Far from where the good sites are. Hotel location, amenities, and food are great. I would recommend and go back to Nature's Village on end! The place is perfect for me ,cause I like nature. The place is simple but yet quiet and the food is good. 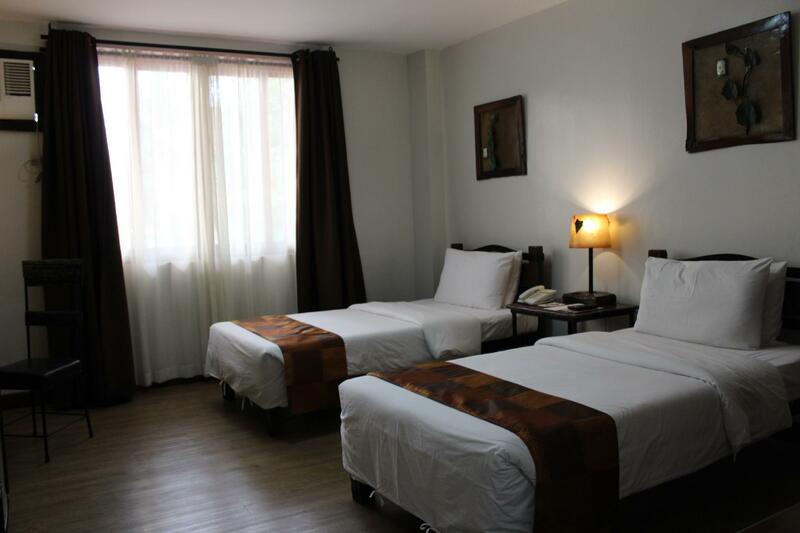 spacious room, friendly staff would be best if traveling with own vehicle. transportation is limited even with grab. nice stay ,we spend a night relaxing so good. will visit again. The rooms were very nice. It maybe one of the older facilities in the area, but it is very comfortable to stay.